Did you know that you don’t have to own a distillery to market your own booze? Nope! Many brands do not own a distillery and do not WANT to own a distillery. Rum brands like Pusser’s, Grander, Tiburon, Denizen, Banks, etc. all source their rum from other producers rather than produce it themselves. These brands launch quality spirit labels by working with bulk re-sellers like E & A Scheer or industrial producers like Indiana’s MGP (Midwest Grain Products) to perfect a blend of spirits to match their specifications. While MGP does not produce Rum, it does produce millions of gallons of other spirits like Rye Whiskey, Bourbon, Gin, and Vodka. Recently MGP announced they are making it easier for new private-label brands to work with the industrial giant. So if you have the desire to own your own liquor company, and have the money, give ’em a call. ATCHISON, KAN., July 25, 2018 — Craft distillers who want to explore or launch new brands now have additional support from MGP. The company has reduced its minimum order for proprietary mash bills to 250 barrels from the previous 1,000-barrel requirement, said MGP Vice President of Alcohol Sales and Marketing David Dykstra. 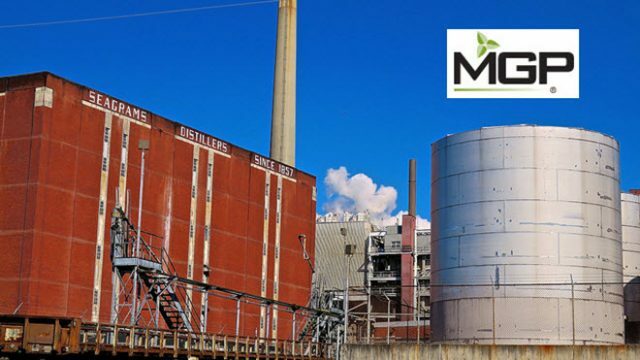 In addition to lowering the minimum order, MGP will allow customers to “pool” orders with other distillers to fulfill the 250-barrel requirement. “Offering this additional flexibility to customers is yet another way that MGP helps develop exceptional brands, whether our experts are creating a new mash bill or providing an existing mash bill ready for a distinctive finish,” Dykstra said. MGP also offers a customized entry proof and the option to use either new or used barrels. A customer also can opt to store product in an MGP rack house when it is ready to age. For more information on how MGP can help build your brand, please contact your MGP sales representative. * Featured photograph: Former Seagram’s Distillers, Lawrenceburg, IN. Taken by Robby Virus.